Running a Business is difficult for so many reasons. There are so many decisions to be made on a daily basis and it can drive one mad. One conclusion that business managers must make early on is what the software you are going to use it. There are many options available and choosing between them can be tough. But worry not, we are here to help by simplifying the process for you. When Choosing the best accounting software for a small business in 2018, there are so many things that need to be considered such as security, compatibility and integrations, ease of use, and – of course – features. If you’re a small business, it makes more sense to go for a cloud-based software SaaS model. SaaS accounting is going to allow for more flexibility in integrating third-party apps, customizing processes, and scaling pricing according to your needs. SaaS solutions are getting more features, and those features are getting more robust, sophisticated, and helpful. SaaS solutions also get regularly updated, so you never have to worry about any updates in standards because the vendor makes sure that their solution is always kept up-to-date. Accounts Payable: Money Owed to suppliers, vendors, etc. Now, let us take a look at the most common software options that you can find to see which one suits you the best. QuickBooks is probably the biggest name in small business accounting software as it is currently being used by more than 2 million customers who trust the software to manage their accounting operations. The software is the most popular with users due to the significant number of features and their user-friendly interface. QuickBooks can cater to the needs of small businesses perfectly, and it can also work for large enterprises. With QuickBooks Online, you will be able to manage all your finances from a single dashboard that the software synchronizes your complete business profile too. Multiple users will be able to log in to this dashboard to view in-depth reports of your business and see how things are going. QuickBooks online comes with more than 40 reports which include Balance sheets, Profit-loss statement, and Cash Flow Statement. The software also includes inventory management and budgeting capabilities. 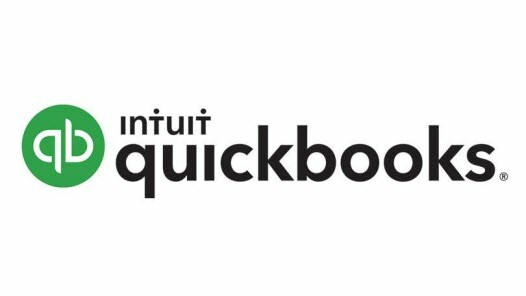 QuickBooks online integrates smoothly with other solutions from Intuit such as QuickBooks online payroll and Intuit GoPayment, and it also integrates with other third-party apps. The Number of features you get for the price combined with the attractive interface of the solution makes QuickBooks a winner for many businesses. Mobile apps are available for devices running iOS and Android. Simple Start: Costs $15/mo. For one user and one accountant and has no limit on the number of invoices. Essentials: Costs $23/mo. Up to three users and one accountant, has no limit on the number of invoices, supports multiple currencies, generate sales quotes, and lets you manage and pay bills. Plus: Costs $31/mo. Up to 25 users and an accountant, does everything, including creating purchase orders, track inventory, and track project profitability. One disadvantage of QuickBooks online is that tracking inventory can be tricky as each company file requires a separate subscription, and the vendor regularly updates the product, and this requires users to learn new things, which at times can be inconvenient. Some would say that Xero is the best alternative to QuickBooks Online, and I sort of agree with them. However, where Xero shines is not just as an alternative for QuickBooks, but as the best Accounting software for dedicated Mac users. What makes it the best for Mac is that the Mac software has all the features you get on the windows version, something that doesn’t often happen in accounting software (Mac users often get shortchanged with features, but this is not the case with Xero). The reasons Xero is so great for Mac is that their Mac Module natively connects to the Mac UI. 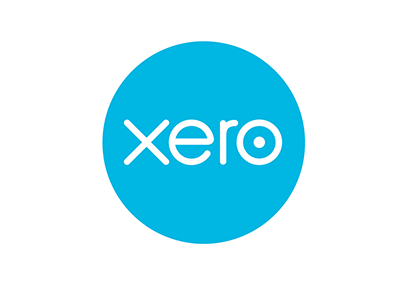 Xero has the same number of features as QuickBooks – if not more. Key elements that you can find in Xero are invoicing, financial reporting, bank reconciliation, inventory, expense claims, balance sheet, and an integrated payroll module. Standard – best suits small and developing businesses and offers unlimited monthly invoices, bill payments, and bank transactions. Premium – suits small, fast-growing businesses and medium-size businesses and includes support for multiple currencies. Just like QuickBooks, Xero offers a 30-day free trial period after which you have to choose one of their plans. One disadvantage of Xero is that it doesn’t have a direct relationship with US banks, but this shouldn’t be a reason to neglect the software, as this is resolved easily once you’ve set up the software with your bank. FreshBooks is the industry leader and probably the most user-friendly accounting software. It is well-balanced and ideal for small business owners and freelancers. The software is feature-rich, inexpensive, and has support to help you through any issue. FreshBooks is also in a class of its own when it comes to scaling depth, as it can grow with your needs better than any other software. It has the basics just right and it has complex features that you don’t find in many other options, features such as time tracking, expense management, and cloud invoicing. FreshBooks’s API is very reliable as well as its tax-management add-ons. FreshBooks also wins when it comes to mobile apps thanks to its excellent interface that can be used by Android, iPhone, and mobile web users. The main strength of FreshBooks is their excellent customer support. They offer customer support online and via phone. You can also access a knowledge base and video tutorials. One of the main reasons FreshBooks has been one of the best for long is that they listen to their users and has a proactive approach to ensure and increase customer satisfaction. Premium: Starts at $50/mo. Up to 500 clients and has all the features. They also offer a 30-day free trial, and if you have more than 500 clients, they offer a premium FreshBooks Select Plan. 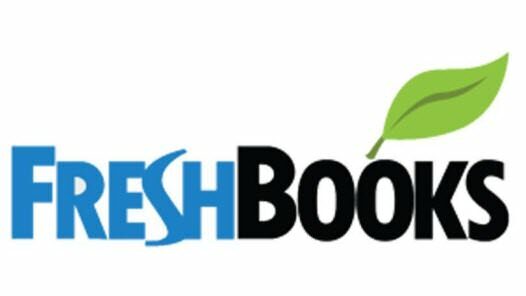 It’s worth noting that some FreshBooks users have complained about some bugs that they found, things like email click-throughs that sometimes don’t work and automated expenses that can at times work on its own. However, it looks like these bugs are one-offs and should not be the things stopping you from FreshBooks, as they are often solved quickly. Zoho Books is one of the best accounting Software for small businesses, and probably the best for very small – or tiny – businesses. That's because their app has the most extensive necessary accounting tools – and is closely followed by FreshBooks, which lacks the Customizable Templates that Zoho Books has. Some of the key features of the app are Invoice Tracking, Time Tracking, Automatic bank feeds, automatic payment notifications, online collaboration with customers, estimating, reconciliation, API, automated workflows, bill payment, and inventory management. ZohoBooks will work on all major browsers and has applications for devices running Android, iOS, and Windows phone. Zoho Books also offers an excellent customer support which you can access online or via phone. You can also use their knowledge base and video tutorials. Basic Plan: This includes invoices, expenses, Banking Links, Multi-Currency, and Time Tracking. It supports 1 user and 1 accountant, and you get up to 50 contacts. Standard Plan: In this plan, you get everything that is in the basic plan features plus Bills, Print Cheques, Recurring Transactions, Vendor Credits, and Custom Roles features. The number of users also goes up to 2, and the number of contacts goes up to 500. Professional Plan: This plan suits larger businesses and includes everything in the standard plan plus purchase order, sales order, and inventory features. There is no limit on the number of contacts or users in this plan. One more advantage of Zoho Books is that it integrates natively with more than twenty-five Zoho apps. 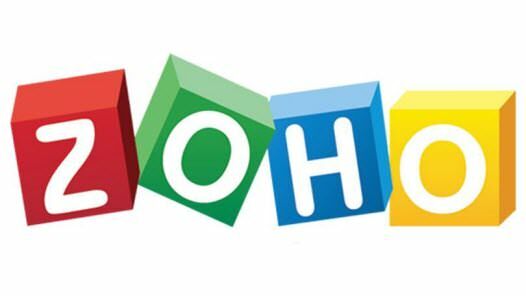 Zoho apps. Zoho Books is not very good when it comes to customizability. Their mobile apps also still need some work. One more thing, users in Greece have complained that the app doesn’t play well with the tax laws there, but we expect this issue to be resolved sometime soon. Are you on a budget and looking for a free accounting Software? Then Wave is your best option. Wave is the most comprehensive free accounting software. It can do all the basic accounting needed for freelancers, consultants, and small businesses that are still trying to stand on their feet. Simple financial reporting and daily office processes are handled efficiently by the app. The app includes a Balance sheet, invoicing, receipts, and profit-loss reports. 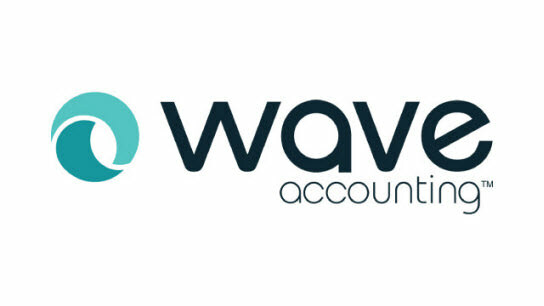 Wave accounting can also manage payroll and direct deposits, but it doesn’t involve cash reporting or the ability to track bills and payments, which makes cash management a bit tricky. Wave Accounting will do just fine as long as you only need basic accounting, but once your cash transactions grow larger, you will probably want to migrate to accounting software that can handle your accounting needs. Too much talk without valuable info. Another small inconvenience you should be aware of is that the app has display ads. Pricing: It is free, which is the best pricing plan ever, right? Of course, being free means that the software is not as fully-featured as it’s paid counterparts. Things like cost accounting modules and income statements by revenue streams are not to be found. Also, the support is quite weak, and the customer service is not something you should count on. Customer service is offered only via email and is quite slow. In case you don’t find one of the options above to suit your needs, there are still some good options out there, and we are going to take a peek at a couple of them. Sage One is cloud-based accounting software that’s good for small businesses that seek a basic, inexpensive solution. It is designed for freelancers, entrepreneurs and small business that only need a basic income and expense tracking, which means you won’t find features such as purchase orders, time billing, and payroll. Reporting features are there but are minimal. There’s a mobile app available for devices running Android and iOS, and since it’s web-based, you can access it from any browser on any device. Formerly called Simply Accounting, Sage 50 Accounting is a comprehensive accounting solution is designed for Canadian businesses and can do everything a Canadian company needs to be done. Because it is made for Canadian Businesses, the app also speaks French (by which I mean the app is Bilingual, and you can switch from English To French). There are six different versions of Sage 50, and they are quite confusing. Sage 50 First Step: A Desktop App that’s only sold at retailers like Best Buy – includes only basic invoicing and expense tracking. Sage 50c Pro: An Online solution and includes all the features of the Sage 50 Pro version plus cloud storage, payroll, and integrated credit/debit card payments. Sage 50 Premium: A Desktop app that includes all the features of the Sage 50 Pro plus multi-currency support, departmental accounting, time and billing, and supports up to 5 users as well. Sage 50c Premium: An online solution and is a combination of the features of Sage 50c and Sage 50c premium. Sage 50c Quantum: This is available both as an online solution and a desktop application. This version is the most premium and includes all the features of the Sage 50c premium plus support for 5 to 10 users and mobile task management as well. What you need to do is to set your priorities straight. Do you value security the most? Maybe you are already using other dedicated software for certain things (a dedicated payroll software, for example) and want this new software to be compatible with it, so in this case, it’s integration that matters the most. All of the options we mentioned excel in all those areas, but some are better than others. So, let’s make things even simpler for you. Choose Zoho Books with FreshBooks being the second best option. QuickBooks online is your best option thanks to its simple interface and the fact that so many people are already familiar with the QuickBooks ecosystem. Xero integrates with more than 250 apps, making it the clear winner here. FreshBooks and Zoho Books offer a support network that makes your life easier. Xero and Zoho Books are the most secure of the bunch. Again, any option you pick from this list will be a great software and is probably going to meet your needs and help you grown your business by taking care of the accounting so you could focus on more important tasks. We hope you found this comparison helpful if so, share it with friends. If you have a question or think we’ve missed something that should’ve been added, leave a comment below.